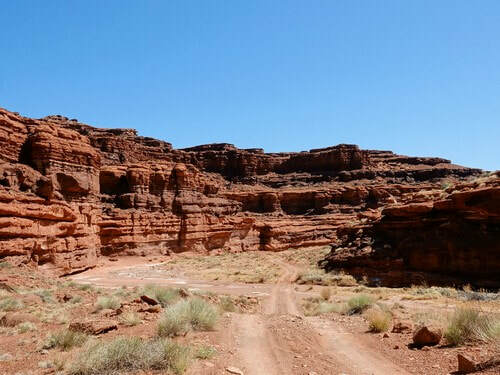 ​Lathrop Canyon is a 4 mile in-and-out trail from the White Rim Road to the shore of the Colorado River. 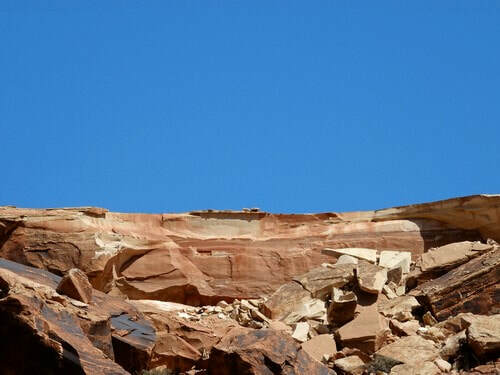 Great chance to understand the formation of the White Rim. 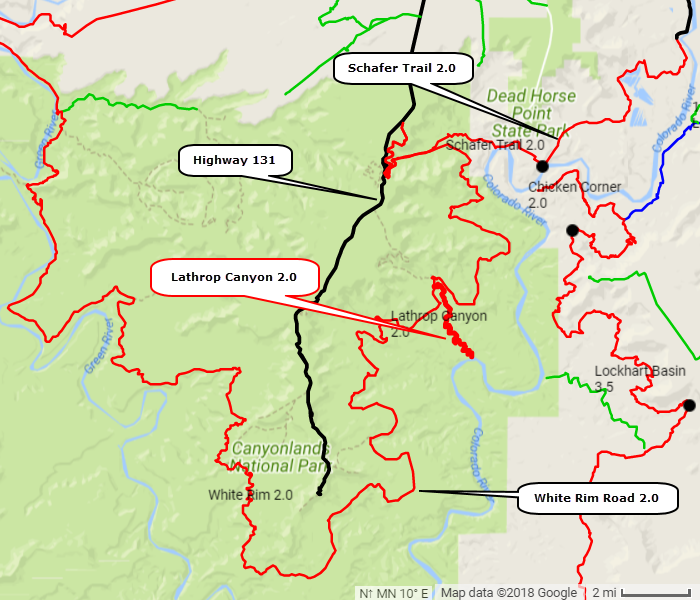 The trail itself is quite short and easy, but the trip from Shafer Trail will take close to an hour. 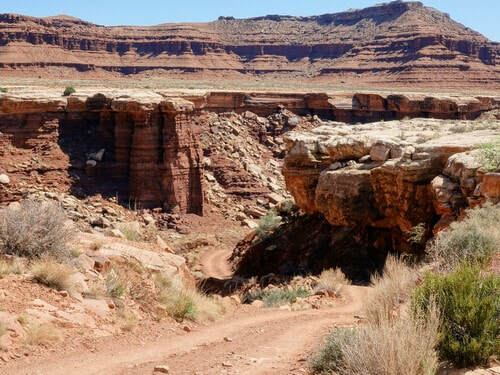 Turn off White Rim Road and immediately take a series of switchbacks to the canyon bottom. Continue down an easy road to the river. 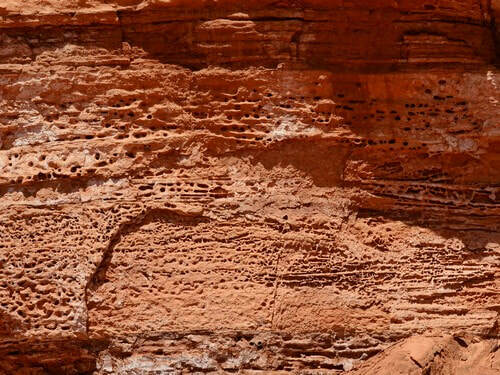 The White Rim Sandstone was formed by wind-blown beach sands deposited during the Permian Period 245 - 286 million years ago. 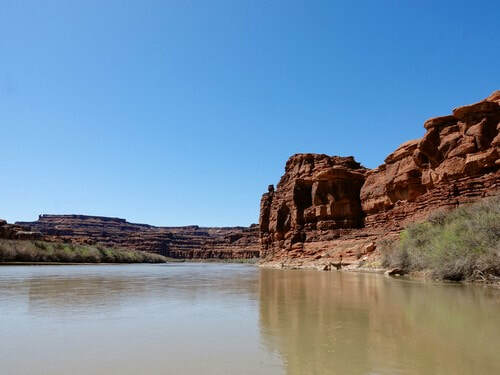 The Moenkopi above this layer was softer so eroded away sooner, forming the wide rim along the Colorado you see today. 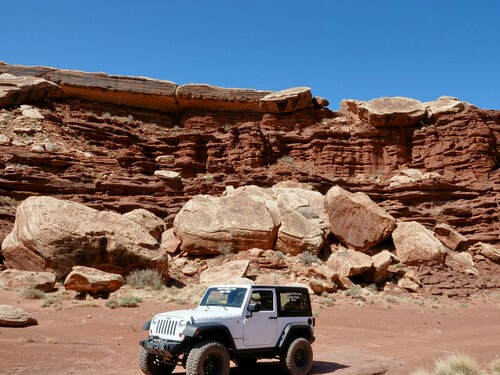 White Rim Sandstone erodes slower, but it does erode. The "thin" rim is visible in the photo, as well as the pieces that have broke off and fallen to the valley below. This recent break is further evidence of present day erosion. There is interesting honeycomb rock in the canyon. The road ends at a parking area and pit toilet about 20' above the river. 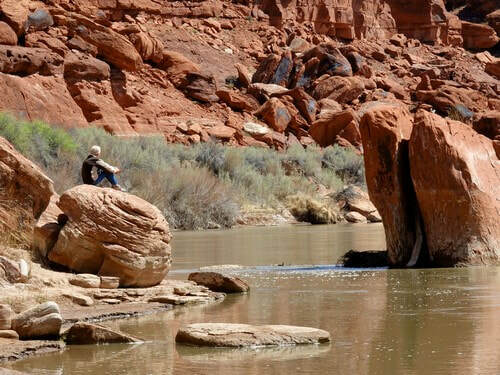 It is a slight scramble to reach the water.